Much like the featured hero image, a Hero slider can be displayed at the top of any post or page. Nowell has built in support for the Metamedia WordPress plugin which makes creating featured galleries really easy. Adding images to the Hero Slider is done using the familiar WordPress media manager lightbox. Add or edit images via the Media lightbox. Lastly, after you have added images to your slider, you can easily update, add, remove or reorder the images using drag and drop. 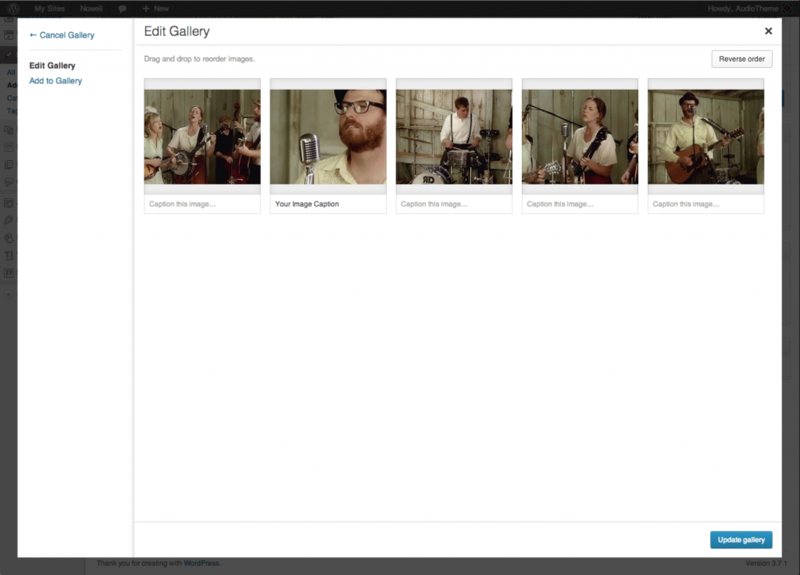 Reorder images in Hero Gallery using Drag and Drop.